It is not too late to book your holiday party! We have decorated for the holidays.Call Joe at 345-6603. Enjoy the great views of the course from the sun porch overlooking the pool and our brick patio offering outdoor food and beverage service. Our lunch and dinner menu offers a wide variety of delicious steaks, chicken, seafood, salads, and sandwiches from which to choose and are very competitively priced. 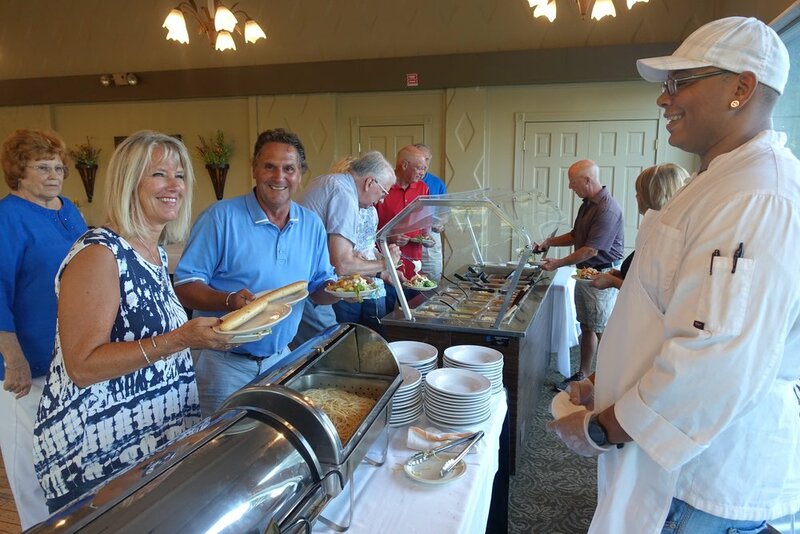 The clubhouse is open year round with special events like wine dinners, theme buffets, live entertainment, family events and more.